Uganda’s Kyadongo East Member of Parliament Robert Kyagulanyi Ssentamu, aka Bobi Wine, and eleven others have been released on bail by the High Court in Gulu. Arua Municipality MP elect Kassiano Ezat Wadri, Jinja East Legislator Paul Mwiru, Gerald Karuhanga Ntungamo municipality representative, former MP Mike Mibike and other supporters were also granted temporary freedom. The 12 people appeared Monday morning before Justice Steven Mubiru of Gulu High Court who granted them temporary freedom via a non-cash bond of five million Uganda shillings, each about 1,332 US Dollars. Their sureties entered a non cash bond of 10 million shillings each about 2, 664 US Dollars. 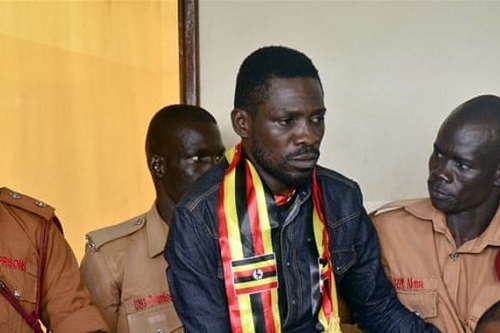 Former opposition Forum for Democratic Change President Gen. Mugisha Muntu, Singer Eddy Yawe and MP Bernabas Tinkasimire stood surety for the MP Robaert Kyagulanyi, also known as Bobi Wine. Other sureties were Leader of opposition Betty Aol, former Leader of opposition Winnie Kiiza, Kampala deputy mayor Sulaiman Kidandala, and several members of parliament. Court has ordered the MP elect for Arua Municipality Kassiano Wadri to stay away from his constituency for three months. The high court judge ruled that this should enable prosecution conduct investigations into the case in a calm environment. “It is in the interest of this case that it is desirable we have an environment of calmness in that area” he ruled. However justice Mubiru noted that in case of urgent need to visit the constituency, the MP elect would have to write to court. “If there is a pressing need to visit the constituency within three months, it will be granted by authorization of court,” the judge ruled. The judge has also allowed the accused to remain with their passports after defense lawyers argued that some of the suspects like Hon. Kyagulanyi would require medical attention from abroad and need to have their passports. Majority of the suspects appeared in the dock wearing red shirts that symbolize the people power movement. MP Mwiru had his arm in a sling having suffered a fracture during his arrest. Court was adjourned for an hour and resumed to hear the bail application for the rest which was note objected. Speaking after the release of the members of parliament and their supporters Dr. Kizza Besigye former president of FDC says what happened in Gulu should have never happened. Dr. Besigye who personally helped to resuscitate one of the two suspects who collapsed noted that they need urgent medical attention. “The immediate focus must be on helping in whatever way possible to get these people to regain their health, and hopefully soon as they regain their health, the country should continue to be united to ensure that Museveni must go. The immediate focus is that Museveni must go,” Besigye further explained. He applauded the country spirit of togetherness which he says forced the regime to relent. “I am grateful to the whole country’s spirit that has forced this senseless regime to relent. This just shows that a determined people can achieve whatever they want,” said Dr. Besigye. Opposition Democratic Party President Norbert Mao told reporters that they were in consultations with Dr. Martin Griffins of the Royal Hospital in the UK who will be treating legislators; Robert Kyagulanyi and Francis Zaake for the severe injuries they suffered when they were tortured during their arrest and detention. According to Mao the MPs will be received by Mr. David Ssekisonge of the DP-UK chapter. All suspects have been ordered to report back to court starting on the 30th of August, and when and if the court requires them to do so. Kyagulanyi and 33 others were arrested two weeks ago following the violence that erupted during the last day the Arua municipality by-election campaigns. The group is charged with treason. The Prosecution alleges that the suspects, with the intention of harming the person of the president, attacked a presidential convoy and pelted it with stones smashing the windscreen of one of the presidential vehicles. 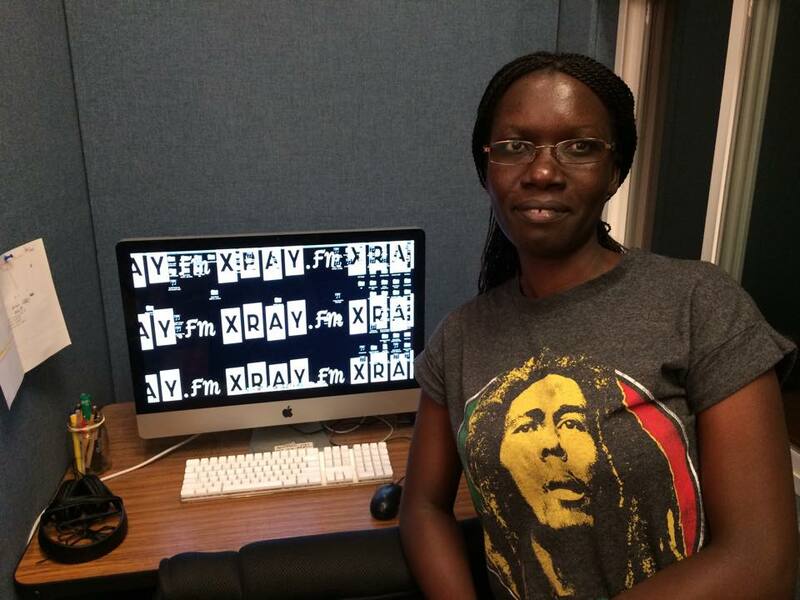 Gloria has experience spanning more than five years in Journalism, particularly in field reporting, editing, newscasting and management. She is currently working with Capital Radio Limited [91.3 Capital FM and 96.3 Beat FM] as Head of News, a position she has held since 2010.